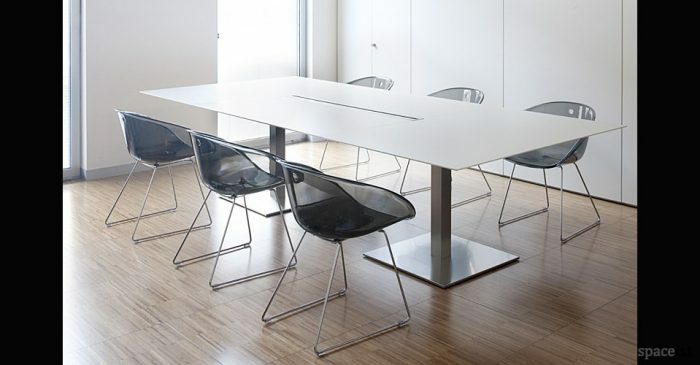 Organically shaped plastic meeting room chair designed by Jasper Morrison. 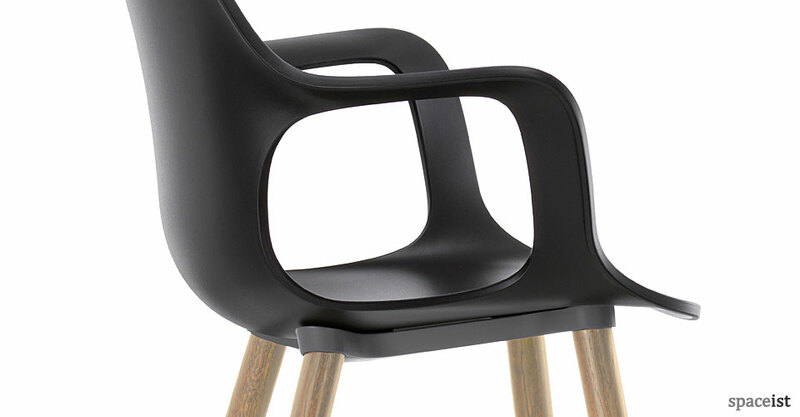 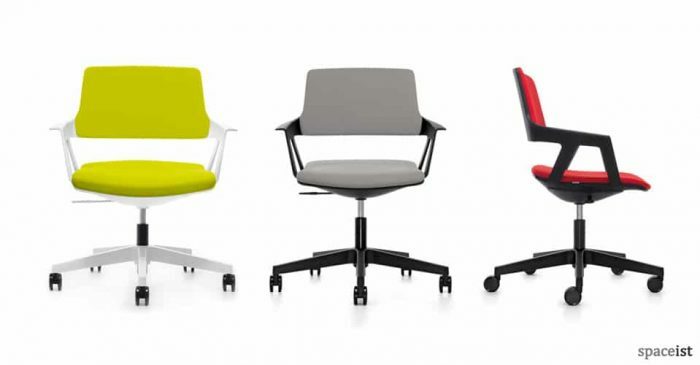 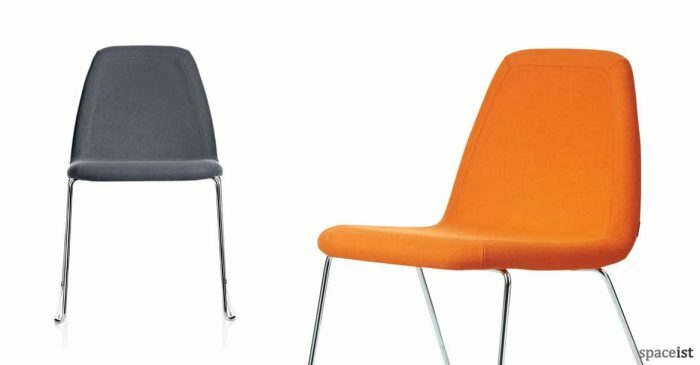 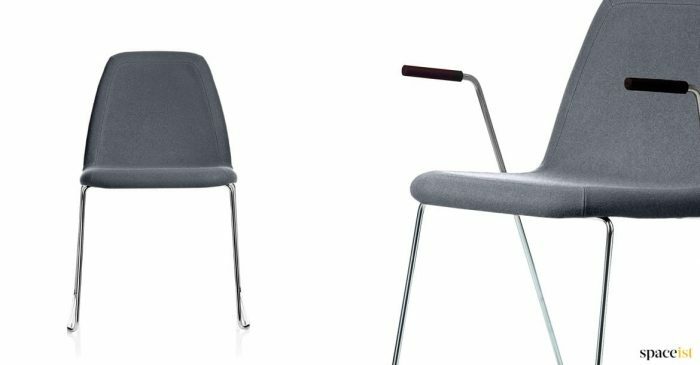 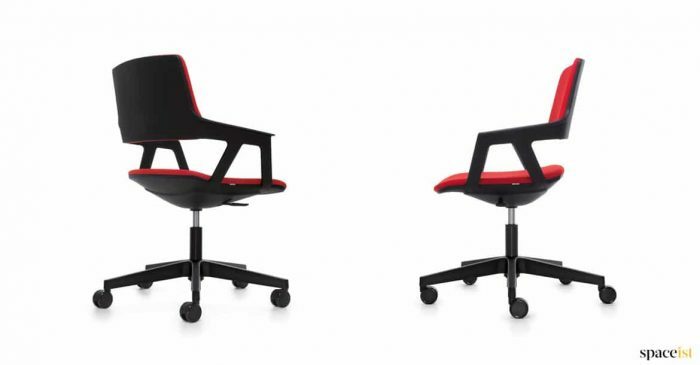 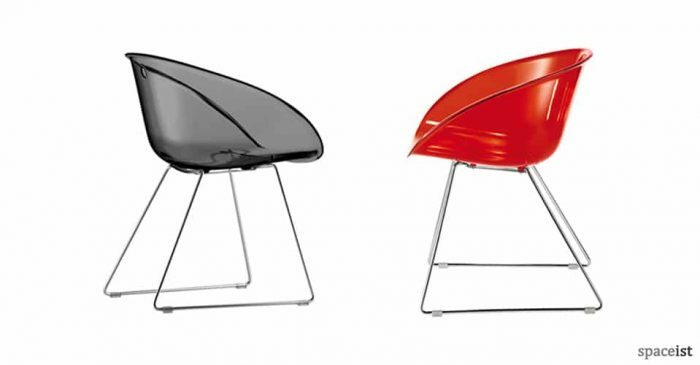 The flexible plastic seat comes in black, white, ivy, ice grey, warm grey, brick red, chocolate or orange. 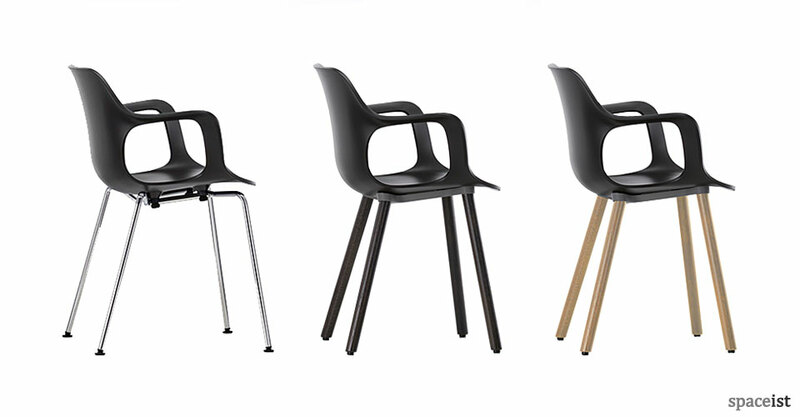 Base comes in chromed steel, oak, dark oak or walnut. 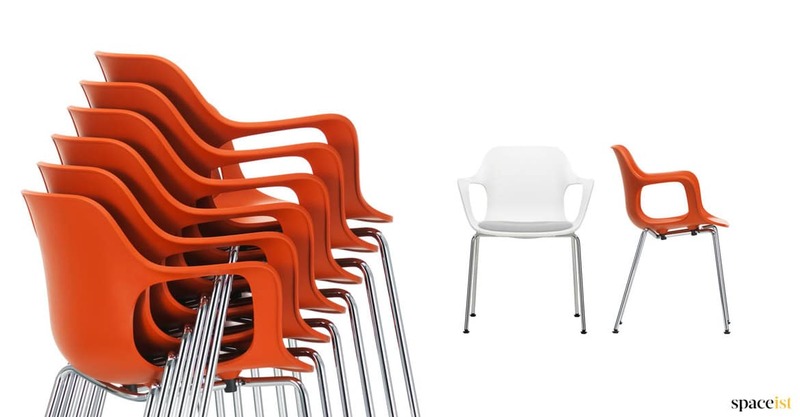 Chrome base version is stackable.